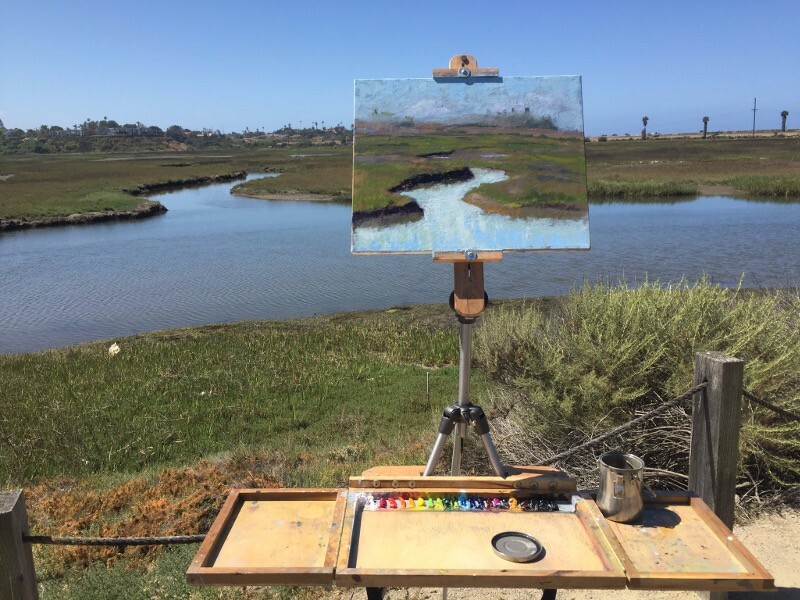 San Diego has some great places for a plein air painter to set up their easel and create fantastic landscape art. 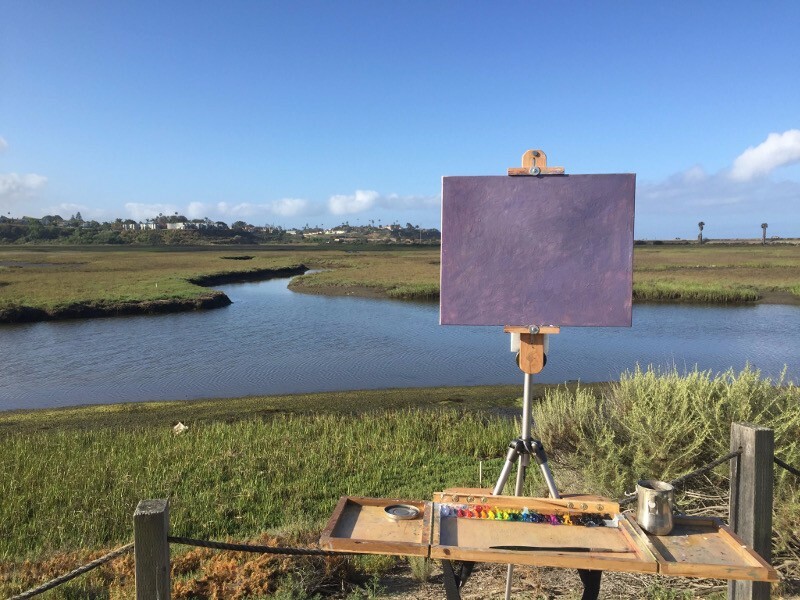 One of my personal favorite places to paint en plein air (a French term that is universally used to describe the process of painting at an easel in the open air to capture a sense of light and place) is at the San Elijo Lagoon Interpretive Center. 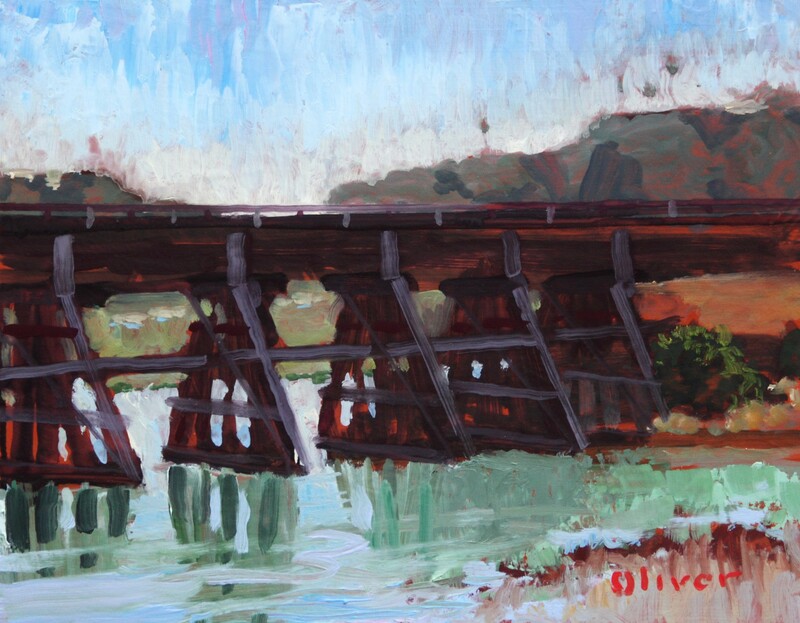 There is a very well maintained trail and boardwalk that puts the painter in a beautiful setting with a minimal amount of hiking effort. 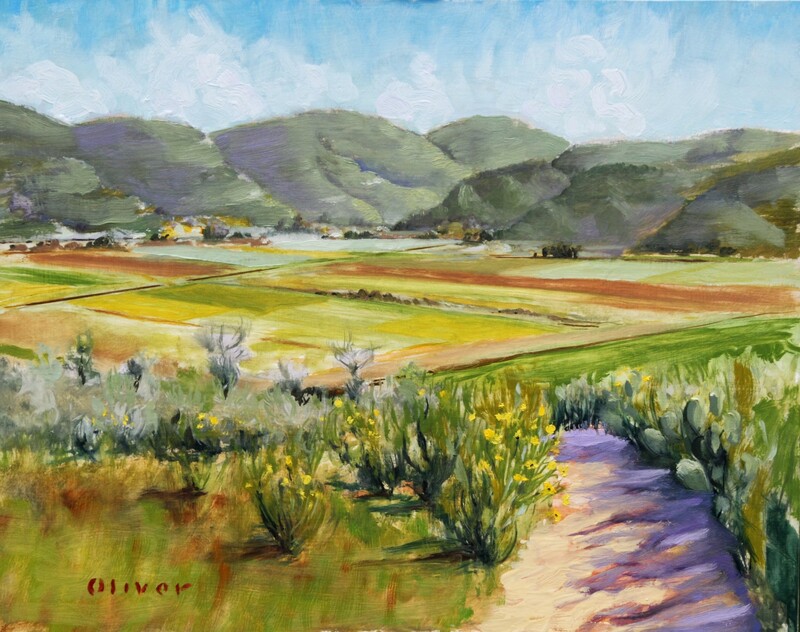 Here’s a video I took, early on the spectacular April morning of this plein air outing. You can see my easel, parked and ready to go–the 20×16 inch canvas, primed with a purple-grey undertone. It really is such a wonderful place to paint, the problem is in selecting a composition from the many choices presented. 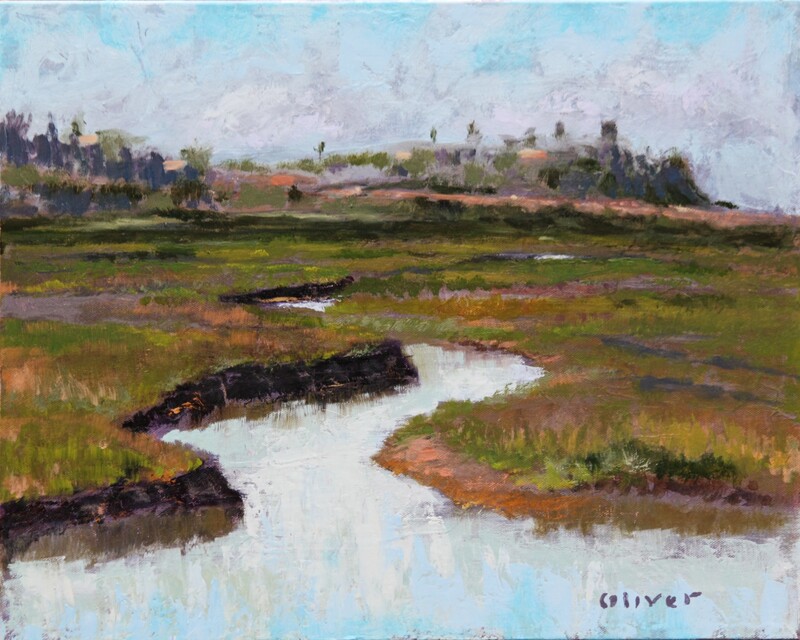 An interesting sinuous pattern created by the meandering estuary caught my eye and I decided to park my easel to find a composition that included it. 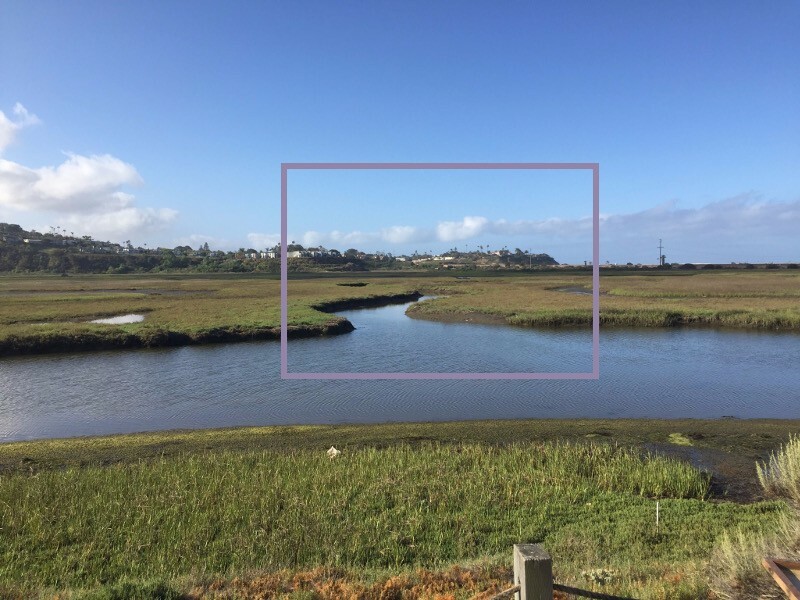 Of course, I did’t paint exactly what is in the framing box above, because while it is a pretty view, it is a photograph and not a painting. 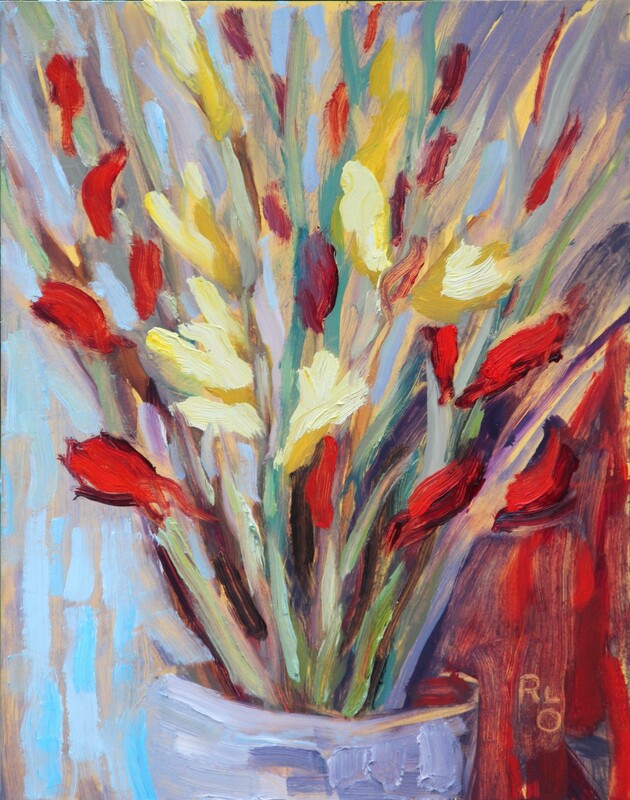 As an artist painter, I have license to arrange and to subdue or emphasize elements to fit my impressionistic depiction as I choose to frame it on the canvas. 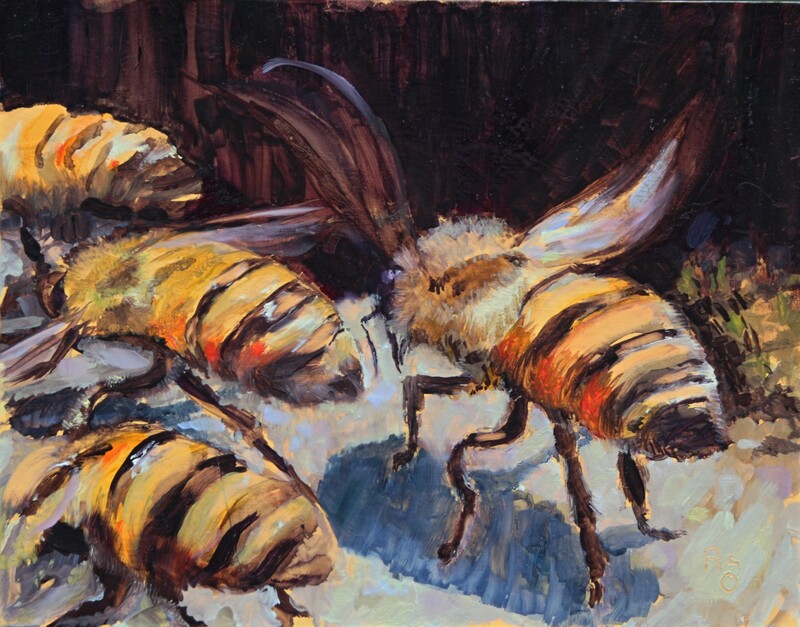 It is this personal expression of omission or embellishment that makes painting an impressionist art, and not a craft. Another artist, standing next to me, would bring their own interpretation to the very same view and create an image entirely their own. Successfully finding this balance between representation and impression is the great joy and challenge of painting in the open air. Here is how the painting looked when I decided to stop, take it home, ponder it for a few days and finish in studio. …and here is the painting after several days of rumination and the finish in the studio.